Today is dedicated to all my fellow Geeks. 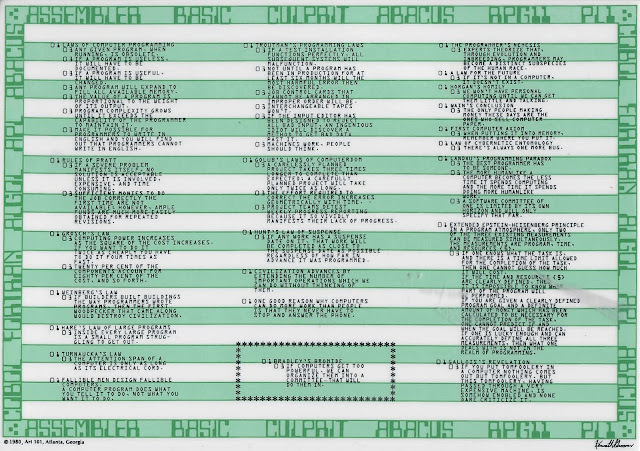 You know who you are and if you remember the format of the COBOL Data Division you will get a chuckle out of the above green-bar poster from 1980. Below is an larger view of a section. Any "old" geeks wanting a copy of the full poster drop me a note with your e-mail address. I have it in PDF. Oh the good old day of punch cards, magnetic tapes, JCL and 64k of memory. Anyone out there remember how you ended a COBOL "IF" statement - hint - only under the structured programming rules did we use the "END-IF". Question - Is there anyone out there still writing COBOL code of maintaining old COBOL source code? I was (and still am) a science type. 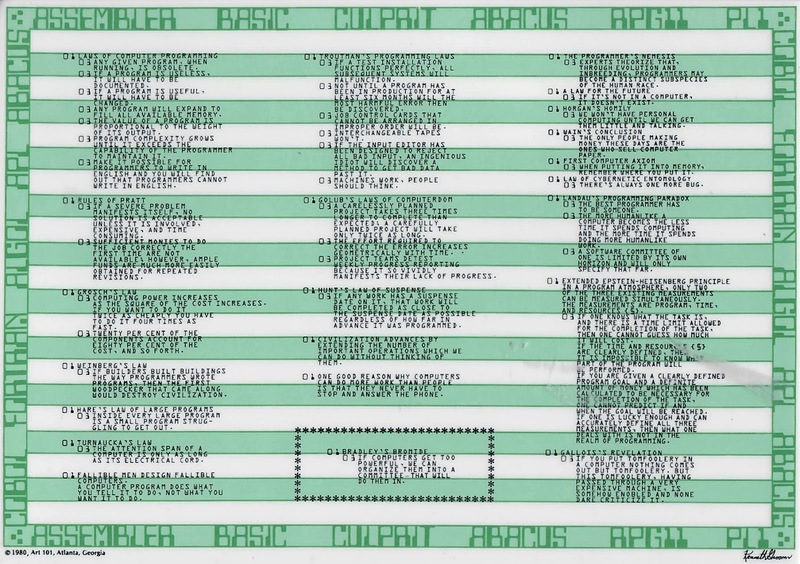 So Fortran was my language of choice - yes, with punch cards. You felt good when you got all of the typos out with just the first submission. I believe there are people still maintaining the old COBAL and Fortran code. Yes I did my share of FORTRAN also. We used it for scientific and thermal modeling. Also used it for a CalComp plotter - early CAD. 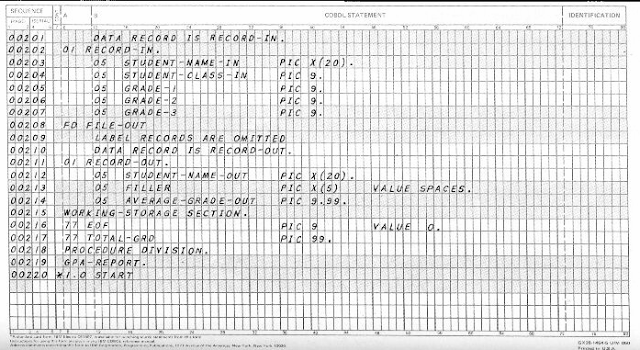 All the business stuff was COBOL. I remember using coding sheets at school because we had one computer that the class could use so you had to have you program ready to type in when you got time on it. I learned COBOL and PASCAL at university but decided I wasn't interested in this other language that was being taught called C.
Starting out in the industry I learned CORAL 66, which was very similar to PASCAL and saw me through the first 10 years of my career. Since starting at my current company I've moved more into system testing so don't do much coding. When I do it's usually Visual BASIC, although I have done courses on ADA and C#, with a bit of dabbling in C++ and Java at home. I did my share of Fortran (1st job) and Cobol (last programming job) over a 38 year career in IT. I still wish I could get back and write some code for money, but the market for my skills is way too small - and I am too rusty. Just as well, as technology is a young person's game. I miss it, and wouldn't mind being back in it.